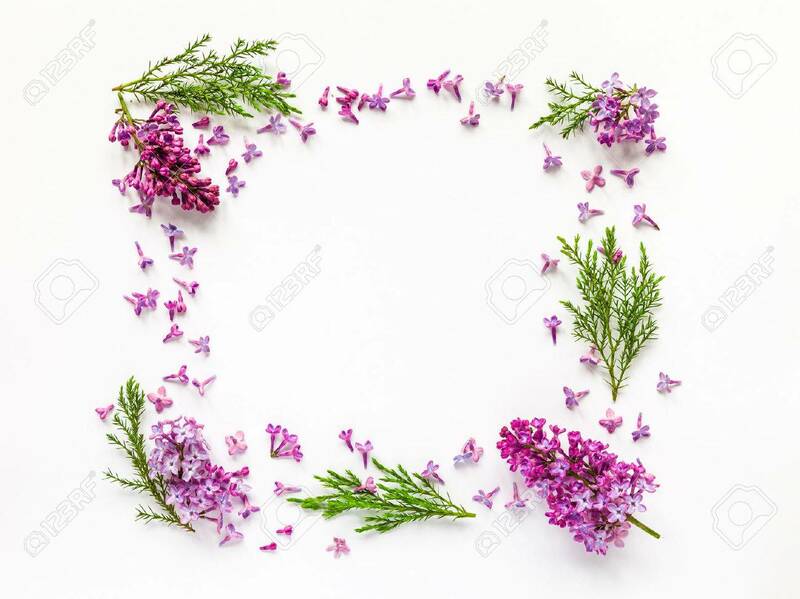 Floral Border Of Fresh Lilac Flowers And Juniper Twigs On White... Stock Photo, Picture And Royalty Free Image. Image 58723399. Stock Photo - Floral border of fresh lilac flowers and juniper twigs on white. Flat lay, top view. Floral border of fresh lilac flowers and juniper twigs on white. Flat lay, top view.